The impact of commerce on modern business is undeniable. From changing the retail experience to the introduction of pure pricing transparency, online shopping is now the primary way that brands interact with loyal and prospective customers. 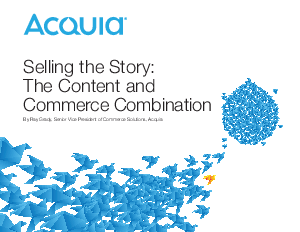 In this ebook, we’ll look at the trends sweeping over the commerce landscape and show you how you can take advantage of the content and commerce combination to sell your story.